There are several misconceptions about carpet cleaning in Irving TX that have remained over the years, despite the advancement of modern technology. Here we list some of the popular myths with the reasons why they are not applicable today. Not true because dirt is abrasive so every time you step on the carpet, dirt is ground into the carpet fibres, damaging the carpet. A dirty carpet will need replacing before a clean carpet will. Vacuuming alone will not keep a carpet free from grease and fine grains that contribute to wearing out the carpet. Not really – you would wash clothes once they’ve been worn, even if they look clean. The same applies to carpets – air contains pollens, fungi, bacteria and air pollution such as cigarette smoke, car exhaust fumes and hundreds of other chemicals. Your hair, skin, clothing and shoes can transport these from outdoors to end up in your carpet. Allergies and breathing difficulties can be exacerbated by pollens, fungi and chemicals in your carpet. There are two primary methods, dry cleaning or hot water extraction. (a) dry cleaning (this is not like dry cleaning clothing because all carpet cleaning methods use water in one form or another, whether dry-foam, dry-chemical or dry compound methods are employed). With dry foam, your carpet is shampooed and allowed to dry, followed by a vacuuming to remove the foam and any adhered dirt. This old-fashioned method is least effective and can leave a soil-attracting residue in the carpet. The dry chemical method is similar to dry foam but a rotary machine is fitted with a cloth to rub the carpet and absorb the dirt. It is the equivalent of someone using a spot cleaner and towel but on a larger scale. This method also fails to achieve a deep clean and can also damage carpet fibres. These dry-cleaning methods can be adequate for maintaining lightly soiled carpets. The dry compound method spreads an absorbent compound over the carpet, which is then brushed into the carpet fibres by machine to absorb dirt into the mixture. When dry, a vacuum is used to remove the compound, much like the dry foam method but far more effective at removing dirt and residues. This is known as the HOST Dry Carpet Cleaner System which is recommended by over 70 carpet mills and is the most popular carpet dry-cleaning method in Europe. (b) hot water extraction (or ‘steam cleaning’ although this description is inaccurate). A hot water cleaning solution is high-pressured into then extracted from the carpet fibres by a powerful machine. Its deep cleaning action fully penetrates every fibre, extracting almost all the moisture pumped into the carpet, together with soil and residues, for the most effective clean. The world’s largest carpet manufacturer recommends hot water extraction. Hot water will not damage the carpet – that’s another myth! Washing and rinsing carpets with hot water is the most effective way of cleaning – as with bathing, laundry or washing the dishes. Of course this is not the case. Training and experience are also important. Many cleaning companies own hot-water cleaners but some employees have little or no training and even some owner-operators don’t know how to use them properly. For this reason, it is important to choose a carpet cleaning service wisely. Check that the company and on-site operators have been fully trained and certified by the Prochem Training School or the National Carpet Cleaners Association. The NCCA provides written credentials to companies it certifies therefore you can request proof or check the membership directory on the NCCA.co.uk web site. There are two important points to consider: that the quotes are for the exact same service and that an advertised price is the actual price you will be charged. (a) comparative quotes are for identical services. As you are reading this, you are clearly doing your research. Before you invite a company to quote, decide what you do and don’t need to achieve. For example, if you want a quick surface clean, there are many companies that offer shampoos or similar cleaning methods – or you can hire a machine to do the job yourself. However, if you want your carpet thoroughly deep-cleaned to remove dirt, bacteria, pollen, chemicals and other residues, the cleaning company should, ideally, provide a quotation for using a professional hot water extraction system – the best way to keep your carpet free from dirt and abrasive chemicals. (b) ensure that the price you see advertised is for the services you want. Home-owners have sometimes found themselves the victims of misleading advertising, that the amount they are charged is higher than the price in the advertisement or leaflet. Some carpet cleaners offer a low price, perhaps £9.99 per room, to give them an opportunity to pressure a potential customer into paying more once they are in your home. As with most services, an estimate can be given ‘site unseen’ but each job is likely to have different requirements so – should an honest company be pressured into quoting for the shortest anticipated service or cover themselves for unforeseen difficulties? Reputable carpet cleaning companies often price a job by the square footage of carpet on the basis that this will determine the amount of consumables and time to be spent. If a potential customer can provide the exact number of square feet to be cleaned, it may be possible to get a quote over the ‘phone, subject to confirmation when the professional cleaner arrives on site. (a) the type of carpet. Certain types of carpets take longer to clean than others. (b) the amount of soiling. Carpets with years of accumulated dirt will take longer to clean than carpets cleaned every few months. Also, any stains that may require special attention need to be taken into account. (c) the amount of furniture that has to be moved. Unfortunately, there are a number of cleaners who are inexperienced or do not take pride in their work. Remember to use an accredited cleaning company. Carpet Cleaning in Irving TX is an essential part of keeping your home clean. Not only does it prolong the life of your carpets helping them to last longer, but carpet cleaning needs to be carried out in order to contribute towards optimum health for you and your family. Ideally you need to be helping yourself by having your carpets cleaned professionally by a carpet cleaner at least once or twice a year. Carpet cleaning is not a luxury but an essential. Read on to understand what I mean by this. People sometimes forget about their carpets unless they look dirty or they have spilt something upon them. However, it cannot be emphasised enough how important it is to look after your carpets and soft furnishings. Carpets can hold odours, germs, dirt, pet hairs, crumbs, food deposits, grit, (grit wears the carpet away) pollen, mould, dust, even fleas or fleas eggs. Can you imagine the germs and bacteria in your carpets if all these things are left in your carpet to aggravate or cause allergies in anybody living in your home. This many include children, partners or even yourself. Most of the time we walk upon our carpets not even considering how dirty they are. We eat tv dinners, drink, sit on the floor, rub our bare feet on the carpet, our pets walk in from outside with muddy sticky feet, pushchairs etc etc. So as you can see our carpets area breeding ground for germs. In a way we are neglectful of them because carpet cleaning is not something we usually think about unless they look dirty. You may think that by vacuuming your carpets daily it will keep them clean but this is not the case. By vacuuming your carpet you will only be removing the surface dirt. Therefore all germs, dirt and bacteria will be remaining in your carpet. Of course these days you can hire carpet cleaning machines from your local High Street but there are many negative things to say about this. For a start, you are only supplied with a basic cleaning solution and as a result of this, there is no conditioner, colour brightener or stain removal product. There are also more chance of you shrinking your carpet doing it yourself due to lack of knowledge. Sometimes the colour may run in your carpet. Furthermore, it has been known that people have injured themselves damaging backs. So as you can see carpet cleaning is not easy work and really needs to be left to the professionals in order to ensure a thorough deep down optimum clean. By using professional carpet cleaners, the industrial machines and the cleaning agent used will penetrate the surface of the carpets breaking down the dirt with a powerful anti bacterial solution, conditioning, deodorising and restoring the colours. Once your carpets have been cleaned you can rest assure they will be left in pristine condition providing you have chosen to have your carpets cleaned by a professional experienced company. 2. Dry Carpet Cleaning – Most people recommend the dry cleaning method over any other. It is certainly helpful since there is little to no down time since the carpet will not need to dry for a long period of time as is necessary with other methods. Most of the time, using a special cleaning powder completes the process. It is sprinkled all over the carpet and it will automatically start attracting dirt. After it has stayed on the carpet an appropriate amount of time to absorb, it is then sucked up by a vacuum, leaving the carpet almost as good as new. A few carpet cleaning companies have made modifications to this method with different cleansers, such as an oxygenated cleanser. This method works well too, because although it may make the carpet wet just briefly, the oxygenated bubbles help lift dirt out of the base of the carpet, allowing it to be cleaned up even more effectively. 3. Foam Carpet Cleaning – This method is also very useful. It basically takes a little bit of the shampoo method and then combines it with the dry cleaning method. A cleansing foam and a small amount of water are applied to the carpet. The cleansing foam is also designed to attract dirt dust and harmful fibers like the powder in a dry cleaning method does. It works its way through the carpet and then the foam, along with all the dirt and dust particles it has collected are extracted from the carpet. 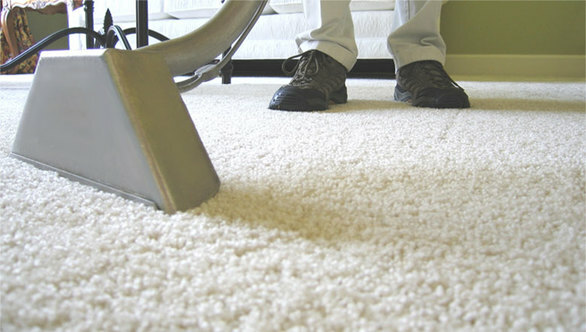 This method works best of tougher carpet due to the nature of the foam as well as the vacuum. 4. Steam Carpet Cleaning – Steam carpet cleaning is probably one of the most well known cleaning methods and is also used often. It does have its disadvantages though because it uses an awful lot of water. When the water soaks deep down into the pad of the carpet, it can damage it so severely that the carpet may need to be replaced. However, if steam cleaning is done properly, and not too frequently, it can be effective. It is also known as “Hot water extraction” and basically it works by having a very powerful machine put a hot water and cleanser solution deep down into the carpet. Then the machine will extract the cleanser with a powerful suction. All of this will most likely get the most dirt out of the carpet, however, it may cause the carpet damage over time. It also means the carpet will be wet for a while, so do not use this method as a quick fix, since there is nothing quick about it. 5. Bonnet Carpet Cleaning – This method is mostly used for commercial buildings due to the amount of carpet inside of them. It is not meant to be incredibly effective, since commercial buildings experience so much traffic anyway. Basically this method will keep the carpets looking fresh and clean, even though some dirt and dust may still be lurking under the surface. A chemical detergent is applied to the carpet and then a rotary machine is equipped with an absorbent pad and then worked across the carpet. So it is clear that not all carpet cleaning methods are the same. Now that the different methods are clearly outlined, it’s time to figure out which one will work best in your own home. Choose wisely, as different methods will affect different types of carpet in various ways. The short answer for how long does carpet cleaning take is: anywhere between 5 minutes and 3 days. Depending on the size of the area cleaned, its condition and stuff standing in the way of the cleaner (desks and chairs for example). In addition, there is time needed for the carpets to dry which should be added to the service time. There are several factors that can influence how long the Carpet Cleaning In Florence Hill TX will take to complete, as well as the length of time it will take for the carpet to dry afterwards. Size of area to be cleaned – the rule of thumb regarding carpet cleaning is usually 20 minutes per room for small rooms (bedrooms, hallways), and 30 minutes per room for large rooms (master bedrooms, living rooms, etc.). However, this is only a rule of thumb and not something you can depend upon. If the carpet is heavily soiled, stained, or just hasn’t been cleaned for a long time, several runs will be needed on the same areas, adding more time to the carpet cleaning. In addition, every run of the carpet cleaning wand adds more time to the drying time. The condition of the carpets – as mentioned above, heavy soiling, lots of grease or just some hard to remove stains can add a lot of time to carpet cleaning. Basically, a more soiled carpet will require a more thorough approach, including pre-spray and maybe even agitation with a special machine. This can add on another 10-20 minutes per room, not including set up time which may be a few more minutes. What the carpet is made of – Natural fibers take longer to dry than synthetic fibers, and also require a different treatment. Natural fibers are more delicate. In addition, they don’t repel stains and grease like most synthetic fibers do. In general, natural fibers like wool would require a more strict maintenance routine and more frequent cleaning to keep them looking their best. Additional solutions applied – Depending on the condition of your carpets and your requirements, there may be additional steps to carpet cleaning – pre-spray before the cleaning, or application of protector after the carpet cleaning is done. Each of these steps applies more fluid to the carpet, and creates more moisture that needs to dry. These steps can add as much as half an hour to the carpet cleaning, and can lengthen the drying time by two hours or more. Weather conditions – Carpet cleaning time isn’t affected much by the weather conditions (though bad weather can affect the set up time, making it harder to get everything ready for the cleaning). However, drying time is affected vastly by weather conditions. The carpet cleaning is done inside. When the weather cold, rainy, or even very humid, there is no option to air out a room and let fresh air inside. Good ventilation helps carpet dry more quickly, so bad ventilation can greatly increase drying time, Drying times can even double if the house is very cold with little or no air movement. Air movement – carpet in a well aired room with several windows, or even a ceiling fan would be able to dry faster than in a closed room with no air flow. Sometimes during winter, if your carpet cleaner can allow it, he will lay out a few drying fans to shorten the drying time of the carpets. Not all carpet cleaners do this, so if this is important to you ask about it before you schedule your appointment. This can greatly reduce drying time if the weather requires the house to stay shut (and there is no air ventilation system available – an HVAC unit you can turn on or a fan that will air the rooms). Carpets will be one of the most expensive items to purchase when furnishing your home, business or office. So naturally you will have to preserve the quality of your carpets to ensure their life expectancy. Carpets act as the first defense against dust, grit and soil and while vacuuming on a regular basis will alleviate some of these problems. There is no substitute for professional cleaning, which will remove the deeper soils and maintain the freshness of your carpet. By having your carpets cleaned professionally you will ensure a far greater level of hygiene than normal vacuuming. Carpets naturally soak up airborne dust allergies, which settle deep among the fibers of the carpet but these allergies can be easily prevented with professional cleaning. Having your carpets cleaned by professionals will extend their life expectancy and ensure they retain their freshness. By not cleaning properly you will reduce their life expectancy and risk having to replace them with new carpets in the future. Carpet manufacturers design their products to disguise dirt and what might appear to be a clean carpet in Clemson SC will often be laden with dirt. Sand and grit can cause considerable damage to your carpet if they are left unattended. By hiring professional cleaners you can ensure the invisible deeper soils are thoroughly removed and disposed of safely. The benefits of having your carpets professionally cleaned is to ensure your investment appears as fresh and bright as when you first laid them. Steam cleaning is highly recommended by cleaning industry because it will provide your carpet with a much deeper clean. Regular vacuuming might work on the surface but only steam cleaning can remove the deepest dirt from the carpet. Steam cleaning is far superior to shampoo cleaning because the process ensures there is no chemical residue left behind. Professional cleaners are also able to help assess your carpet and take proper care of your investment. Another welcome aspect of steam cleaning is that any undesirable stains will be removed and are less likely to remain as a dirty residue. The removal of sticky residues is very important because otherwise they attract dust that will give your carpet an unattractive appearance. Studies also show that there are many health benefits of carpet cleaning. Having clean carpets can prevent young children and adults with asthma, eczema and other allegories suffering from excessive dust, germs or pet hair. As health concerns grow it becomes increasingly important for carpets to be maintained to ensure their wellbeing and appearance. When properly maintained, a carpet can improve your health, air quality and act as a filter absorbing soil, debris, and other contaminants such as hair and sand. Routine carpet cleaning should be considered part of a healthy lifestyle. By having your carpets steam cleaned and deodorized, this will keep outdoor contaminants such as dirt, sand and other pollutants from under control throughout the year. Some of the other benefits of extracting pollutants from carpets include reducing health problems such as cancers and other respiratory illnesses. The absence of dust particles in your carpet is almost certainly beneficial to your lungs, and this will subsequently improve the lives of young children or anyone with asthma or dust allergies. Any home with young children will enjoy the benefit of having steam cleaned carpets because a fresh voluminous carpet will minimize cuts and injuries from accidental falls. If you receive a professional clean then the natural freshness of the carpet will ensure a cushioning surface for young children. Even if your home or office does not have any young children, everyone instinctively notices the difference between a dirty carpet and a clean surface maintained by professionals. Cleaning your carpet on your own requires time, money and effort. By allowing professionals the opportunity to clean your carpets from germs, you will save yourself a considerable amount of time and effort. Some of the added benefits from people who hire professional cleaners are that any heavy lifting will be carried out by the respective organization, saving you the initial trouble, and they should also lay down protective padding underneath the furniture to help protect your carpet while it dries. Another financial benefit of getting your carpets cleaned by professionals is that if you rent a flat then getting your carpets cleaned can save you serious money in the long term. Anyone renting for a considerable period of time will have paid out at least one month’s rent to ensure their tenancy. By allowing your carpets to deteriorate will present an unforgiving landlord the ideal opportunity to claim all or some of your deposit for cleaning expenses. By having your carpets professionally cleaned before the end of tenancy will be far most cost effective and reassuring in the long term. If you own a property then you can save money with professional cleaning than replacing carpets with nasty stains. With children and pets running amok on carpet areas, the popular traffic areas are inevitably going to get damaged through excessive use, spillages, dirt and exposure to sunlight. Having your carpets cleaned every 6 months can make enormous difference to your lifestyle, health and long-term finances. Buying a new carpet is a considerable investment for any household or business. By having your carpets cleaned professionally you will ensure outstanding cosmetic, health and financial benefits, which cannot be obtained through regular vacuuming. Professional cleaning offers enormous benefits and will ultimately preserve the quality of your carpet for years to come. As a carpet cleaning professional I consistently stumble upon a variety of mistaken beliefs. Right here are 5 that I listen to most frequently. 1. The primary purpose for carpet cleaning in Euless TX is spot removal. Many people believe the primary purpose for carpet cleaning is to obtain spot removal. I see this when I walk into a house as well as the home owner rapidly starts to point out places on her carpeting. This is clearly her primary issue. That’s understandable because we want to have a house that looks tidy and that is among the important things about employing a carpet cleaner. Nevertheless, carpet cleaning is far more than spot removal. It is a vital part of keeping the health of your carpeting in addition to extending its life. Regular cleaning is recommended by almost every rug supplier. Without normal cleaning carpets break much quicker. As a matter of fact, oftentimes the life of the carpet can be cut in half or even more without normal cleaning. 2. The carpet equipment that you rent at the store are a feasible alternative to expert carpet cleaning in Euless TX. The rug machines that you rent do add to clean carpeting. Nonetheless, there is no chance to obtain adequate power into a tiny portable unit like that to do a detailed job of cleaning your carpet. If that were possible, every carpet cleaner on earth would make use of one. Take it from me, if I could avoid dragging hoses in and out of every house and also having to buy $20-$40,000 worth of equipment, I would certainly in a heartbeat. The fact is there just is no other way to obtain enough water stress, warmth, and also vacuum power from a small mobile unit. This is why nearly every major rug supplier recommends not simply “heavy steam cleaning”, yet “truck-mounted vapor cleaning”. In short, that means the suppliers understand the need for the power a truck-mounted system supplies. 3. If the carpet looks clean it doesn’t require to be vacuumed. Vacuuming has numerous purposes, not just for look of the carpet. Every day our residences are assaulted with any kind of variety of penalty or perhaps microscopic fragments that add to the wear of our carpet. Things like dust, dander, hair, and just dust as a whole hurt our rugs. These act like sandpaper on the rug fibers which, with time, break them down. Much of these particles are so small that they are not conveniently seen. Yet just because they can’t be seen doesn’t imply they are not doing damage to your carpet. So, one of the most essential points you can do to prolong the life of your carpet is to vacuum consistently. 4. Rug cleansers offer “rug protector” as a way to make a fast dollar. Modern carpeting, referred to as fifth-generation carpets in the business, is vastly improved from prior generations. Today’s carpeting contains some remarkable discolor fighting features consisting of Teflon-based guards and something called acid color blockers. While these breakthroughs have made carpeting stay cleaner, much longer, they do break gradually. Because of this it is beneficial to re-apply carpeting protector periodically. 5. Carpets will get dirty more quickly after they have actually been expertly cleaned. Years earlier, when rug cleaning firms mainly utilized the method referred to as shampooing, this impact was feasible if the carpet cleanser did not adhere to correct treatments. Nevertheless, with today’s carpeting cleaning methods, particularly vehicle mounted heavy steam extraction, this is no more the instance. Unless the carpeting cleaner in question is using inexpensive chemicals in improper ways, today’s vapor cleaning approaches and cleaning representatives to not leave sticky deposit behind. This indicates carpetings will certainly not re-soil more quickly due to the cleaning process. Why it benefits you to have your carpets cleaned! Carpets will be among the items that are most expensive to purchase when furnishing your house. So you will have to preserve the standard of your rugs to make sure their life expectancy. There’s not any substitute for cleaning, which will remove the deeper soils and take care of the warmth of your carpeting. You will ensure a level of hygiene than normal vacuuming by getting your carpets cleaned professionally. Carpets naturally soak up airborne dust allergies, which settle deeply into the fibers of the carpet but these allergies can be easily prevented with cleaning. Getting your carpets cleaned by professionals will extend their life expectancy and ensure they keep their freshness. By not cleaning them will decrease their life expectancy and risk having to replace them with new carpets in the future. Carpet manufacturers design their products to disguise dirt and what might appear to be a carpeting will be laden with grime. Sand and grit can cause substantial damage to a carpet if they’re left unattended. By hiring cleaners you can make certain the imperceptible soils are thoroughly removed and disposed of securely. The benefits of getting your carpets professionally cleaned would be to ensure your investment looks as fresh and bright as when you laid them. Steam cleaning is suggested by cleaning businesses since it will provide a deeper cleaning to your carpeting. Vacuuming might operate on the surface but only steam cleaning may get rid of the deepest dirt out of the carpet. Steam cleaning is far superior to shampoo, because the process ensures there isn’t any chemical residue left. Professional cleaners will also be able to help assess your carpet and take proper care of your investment. Another aspect of steam cleansing is that any stains will be eliminated and therefore are less inclined to remain as a residue. The elimination of residues that are tacky is important because otherwise they bring dust which will offer your rug an ugly look. 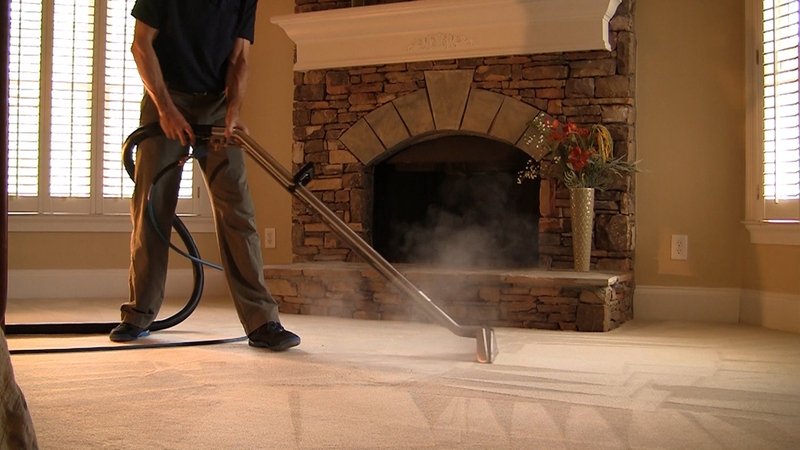 Studies also show that there are many health benefits of carpet cleaning in Clemson SC. Having rugs can stop young kids and adults with asthma, eczema and other allegories experiencing germs dust or hair. As health issues grow it becomes increasingly essential for rugs to be maintained to make sure their well-being and visual appeal. Carpet cleaning that was routine should be considered part of a healthy lifestyle. By getting your carpets steam cleaned and deodorized, this can keep contaminants like dirt, sand and other pollutants out of. Some of the benefits of extracting pollutants from carpets include reducing health issues such as cancers and other respiratory illnesses. The absence of dust particles in your carpet is almost certainly beneficial to your lungs, and this will enhance the lives of young kids or anyone with allergies or dust allergies. Any house with young kids will appreciate the advantage of having steam cleaned carpets because a voluminous rug that is new will minimize cuts and injuries . In the event you are given a professional clean this carpet’s freshness will guarantee a cushioning surface for kids. If your home or workplace doesn’t have any young kids, everyone automatically notices the difference between a dirty rug and a surface preserved by professionals. Cleaning your carpet requires time, money and energy. By enabling professionals the chance to clean your carpets from germs, you will save yourself a considerable quantity of time and energy. Some of the extra benefits from folks who hire professional cleaners are that any heavy lifting will be performed by the respective organization, saving you the initial problem, and they ought to also lay protective padding beneath the furniture to help protect your carpet while it melts. Another benefit of having your carpets cleaned by professionals like Ace Carpet Cleaning is that if you rent getting your carpets cleaned can save you money in the long term. Anyone leasing for a substantial period of time will have paid month’s rent to make sure their tenancy. By allowing your carpeting to deteriorate will present an landlord the opportunity or some of your deposit for cleaning expenses. By having your carpets professionally cleaned until the conclusion of tenancy will be cost effective and reassuring in the long run. If a property is owned by you then you can save money with professional cleaning than replacing carpets with nasty stains. With kids and pets running on carpeting areas, the traffic areas that are favorite are going to get damaged through usage, spillages, dirt and exposure . Having your carpets cleaned every 6 months may make a difference to your lifestyle, wellbeing and long-term financing. Purchasing a rug that is new is a substantial investment for any home or business. By having your carpets cleaned you will guarantee outstanding cosmetic, health and financial benefits, which cannot be obtained through vacuuming. Professional cleaning provides benefits and will finally preserve the quality of your carpeting for years to come.